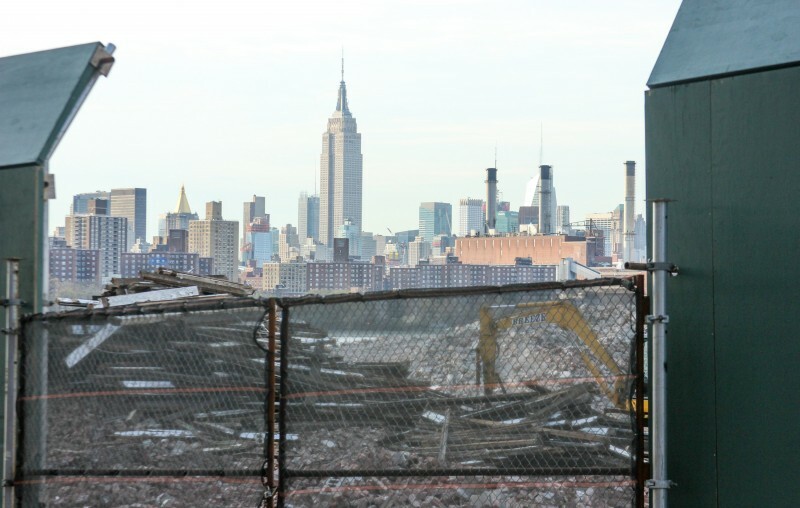 Behind a green construction fence near the Williamsburg waterfront, crews are demolishing and gutting 28 buildings from the Domino Sugar Refinery complex, readying it for a $1.5 billion mixed-use development that the city approved in late April. It’s a familiar occurrence in space-starved and development-hungry New York: Contractors demolish old buildings to make room for new ones. 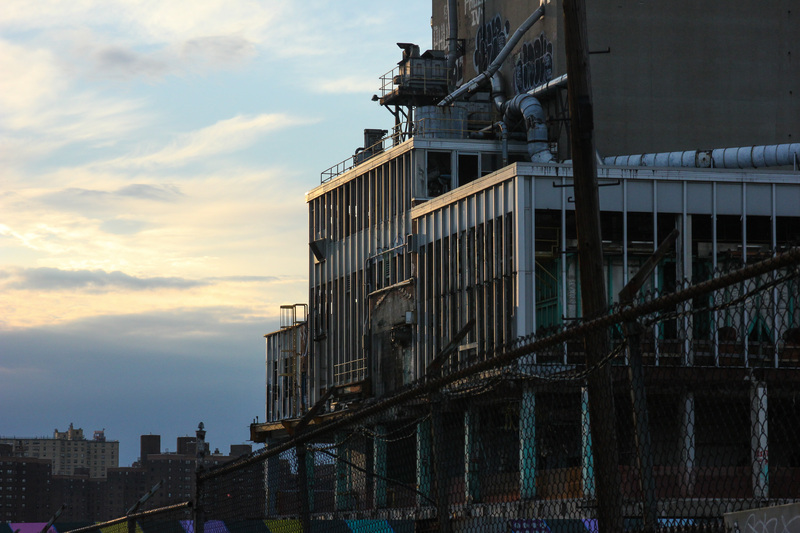 Yet few New Yorkers know about what’s going on around them — the lengthy and expensive process of clearing out hazardous materials before demolition, the salvaging of materials during destruction and the fact that even soil may be removed afterward. For the refinery, parts of which date to 1884 and which was once the largest in the world, preparatory stages began last spring. Those stages consisted mostly of asbestos and lead abatement. The first thing contractors do as part of a demolition is search for asbestos, said Michael R. Taylor, executive director of the National Demolition Association. The fire-resistant insulator was commonly used through much of the 20th century, until it was banned due to negative health effects, including the cancer known as mesothelioma. Once contractors think they’ve located all the asbestos, they’ll send in crews to pull it out. The process requires “negative air pressure,” which contractors create with tents and air-filtration systems, to ensure that any asbestos dust can’t escape. Crews wear respirators and wet asbestos fibers to keep them from floating outside of the area. At Domino, asbestos abatement finished in September, according to dominosugarconstruction.com, a website maintained by Two Trees Management, the firm developing the property. The costs for abatement can vary widely, but prices often begin at $25 per square foot in New York City. The Domino plant is around 90,000 square feet, so that could mean the bill started at $2 million. Two Trees would not comment on the price. Asbestos isn’t the only concern in the initial stages, says Mark Shaurette, assistant professor in the Department of Building Construction Management at Purdue University. Contractors have to exterminate the buildings, so that critters don’t flee to neighboring homes and businesses when the building comes down, and also have to remove any animal waste so it doesn’t end up in the air or water. 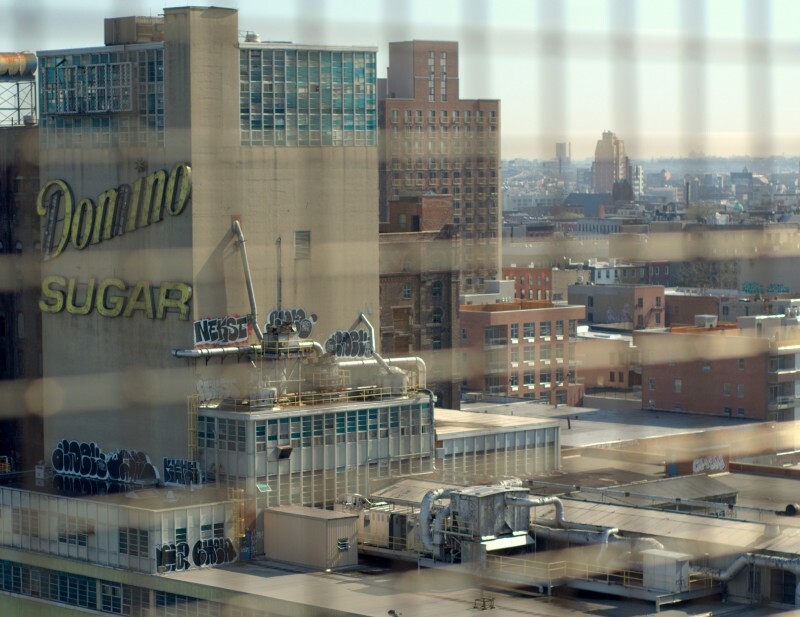 In the case of the Domino factory, which had been shut down for nine years when demolition began, “resident raccoons” had largely kept other vermin at bay, according to Dave Lombino, director of special projects for Two Trees. The city received certification that the site was pest-free in August. 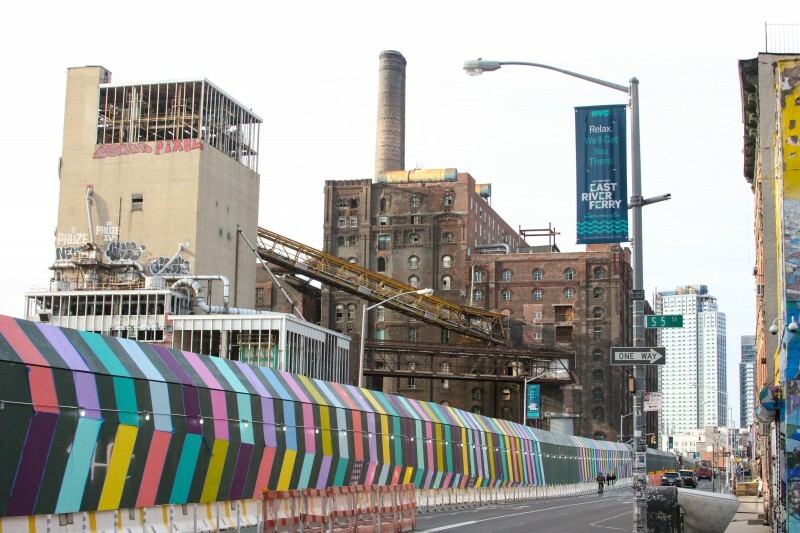 Instead, Domino will undergo a “full mechanical demolition” that will require handheld tools, including jackhammers and chainsaws, “for wall and floor dismantling,” as well as large, diesel-powered equipment, including an 8,500-pound excavator and a crane with a 189-foot boom, according to documents filed with the city’s Department of Buildings. Contractors will begin with the easiest buildings to demolish, and then move on to progressively harder demolitions, said Lombino. That meant taking down one building in the northeast of the site in the fall, then heading to the southernmost building, taking that down and working north. The contractor is currently taking down a packaging facility. 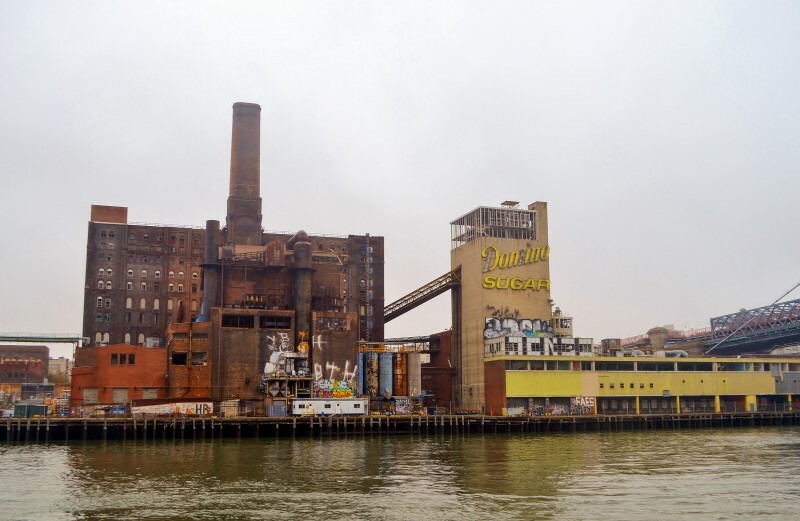 Once crews make it to the actual refinery in the center of the complex, which is landmarked and being preserved, they’ll head west to the waterfront and take down the powerhouse. That’ll likely be the most difficult building to demolish because it’s attached to the refinery, and they’ll essentially need to peel it away. 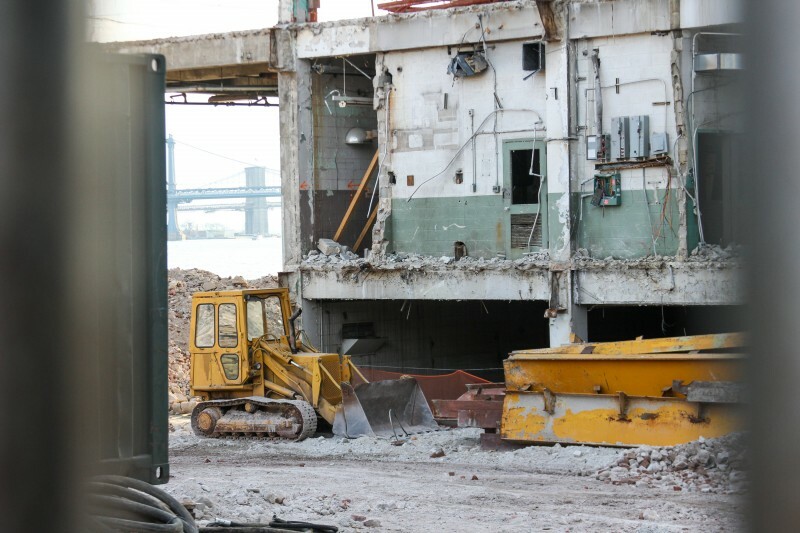 As a building comes down, contractors often try to sell scrap materials, especially steel, which can get them hundreds of dollars per ton, or copper wiring, which can go for 10 times that. 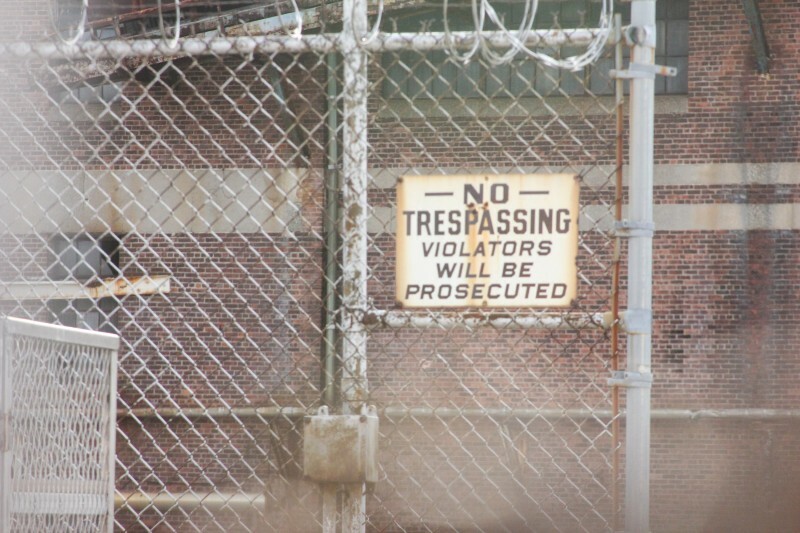 Contractors will drive unsalvageable materials to recycling or disposal sites that can be at nearby landfills or in faraway states that deal with particular hazardous materials, although in port cities like New York they sometimes ship waste. The final stage will be a cleanup of the site, which could also include disposal of contaminated soil. That year-long process should be completed in the fall. Taylor, of the NDA, said that’s not an unusual length of time for a business with a “time is money” mentality. “You’ll be surprised how quickly the building will disappear,” he said. Ben Brody is a reporter and photojournalist based in Riverdale, New York. You can find more of his work at ben-brody.com. A recent walk along the three-block length of East First Street revealed 12 vacant storefronts. Ten were boarded up or behind rolling grates, with forlorn signs advertising square footage, a broker’s phone number and stipulations like “No restaurants allowed.” One space was under construction. The 12th storefront, at the very end of the block abutting Second Avenue, was a small, garden-level retail space, empty save for three lamps, a series of boxes and about 30 well-to-do young New Yorkers milling about and chatting. Six small businesses were simultaneously using the 650-square-foot space as a pop-up shop, displaying their wares — from boutique fashion to do-it-yourself pickling kits — in plyboard boxes of various sizes. The storefront, at 37 E. First St., housed Pac Lab, a photography store, until October 2013, when the retailer’s long-term lease ended. Unwilling to re-sign, Pac Lab vacated, and the “For Lease” sign went up. And stayed up. For six months. “A lot of times landlords are waiting for the next gentrified client to come in,” said Eric Ho, a 34-year-old architect and entrepreneur. “They don’t want to give a five or 10-year lease to someone paying less.” This is where Made in the Lower East Side comes in. 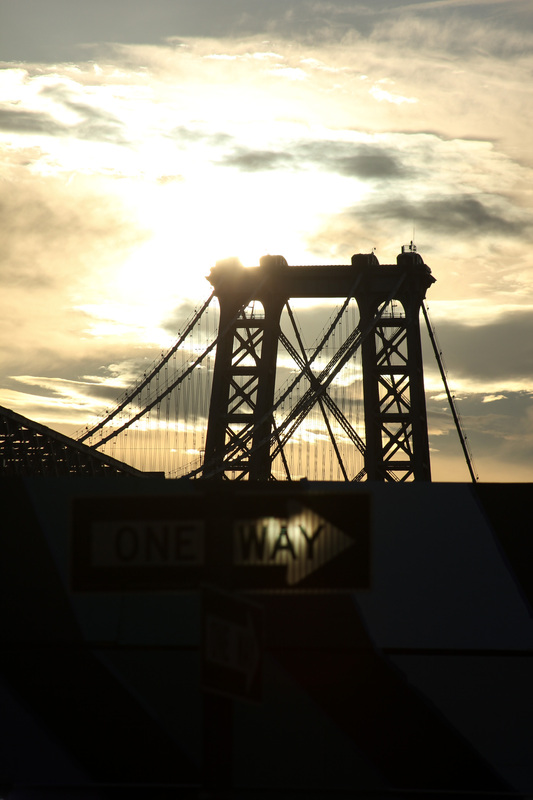 Made in the Lower East Side, or miLES, is Ho’s brainchild. Partners and collaborators around the city consistently told Ho that their primary need was simply space — a room in which to realize their projects. Walking to work from his Chinatown apartment, Ho began to notice all the vacant storefronts in the neighborhood — more than 200, by his count. So he began to call the phone numbers taped up in the window. At 37 E. First St., the owner was looking for a long-term tenant at $4,000 per month, and getting no takers. When Ho approached him about using the space short-term until a tenant signed on, the landlord dropped the monthly rent to $3,500, which miLES paid for by signing businesses on for the pop-up shop. “Brokers don’t care about short-term uses because there’s nothing in it for them,” Ho said. “So we try to hunt down landlords directly.” Ho found the landlord at 37 E. First St. via neighbors. However, the lack of a trusted agent to broker the deal can make many landlords wary about short-term uses; miLES faced several rejections before doing their first pop-up last year, on East Fourth Street. After they secured the blessing of a local community group called Fourth Arts Block, the landlord agreed to let miLES use the storefront as a co-working space during the day, and an event space at night. “Making short-term leases is definitely more complicated,” said Amber King, VP of the co-op board at 35 E. First St. King’s building worked with miLES last year, when their own retail tenant vacated. While they looked for a tenant, miLES hosted a rotation of artists’ events and gallery shows. 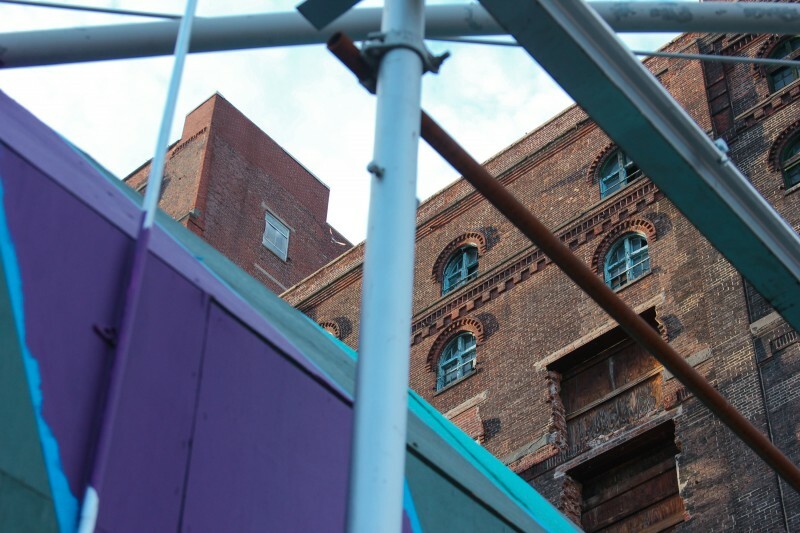 Gotch says that landlords often panic when they notice a string of vacant storefronts; they wonder if the market is in a free-fall or if the neighborhood is losing value or desirability for various reasons. For its part, miLES makes a point of dedicating its spaces to community projects when the pop-ups themselves are underbooked. Israel Quitcon, 51, is an ex-convict who is launching a business incubator to help secure employment for newly-released inmates, and the long-term unemployed in the community. He’s currently operating his business out of a miLES space — and former diner — at 399 Grand St.
Ryan Kailath is a radio and multimedia producer living in New York City. His work has aired on WNYC, KUOW and PRI. Last year, Minico Roberts, a longtime Coney Islander, started thinking about creating a new community garden in her neighborhood. She was inspired by her experience as a culinary educator at farmers markets in the Bronx and East New York. “I was working out of [the Padre Plaza Community Garden], and I loved it. They had a youth program where youth learn about carpentry, and I felt something like that would be great in Coney Island,” says Roberts. Last fall, Roberts, 34, walked by West 24th Street and Mermaid Avenue, Coney Island’s main business corridor, and saw the perfect spot for a garden — a corner lot that’s been vacant since she was a child. The fenced-off plot has been cleared of major debris and struggling patches of grass have sprouted, but it presents a contrast to the neat row houses and businesses nearby. In March, Roberts received approval from the local community board to proceed with organizing the garden, which would join three others on Mermaid. The process of converting vacant lots into community gardens can be confusing and time-consuming, but empowered locals like Roberts are determined to re-purpose the wasted lots that dot their blocks. The city’s first official garden, Manhattan’s Bowery Houston Community Farm and Garden—now called the Liz Christy Garden—was founded in 1974, sparking a wave in neighborhoods across the city where residents decided to reclaim abandoned lots that had become breeding grounds for litter, rodents and crime. Now there are more than 500 community gardens in New York City, according to the Department of Parks & Recreation. The plot Roberts is eyeing is one of 11 vacant lots on Mermaid Avenue. 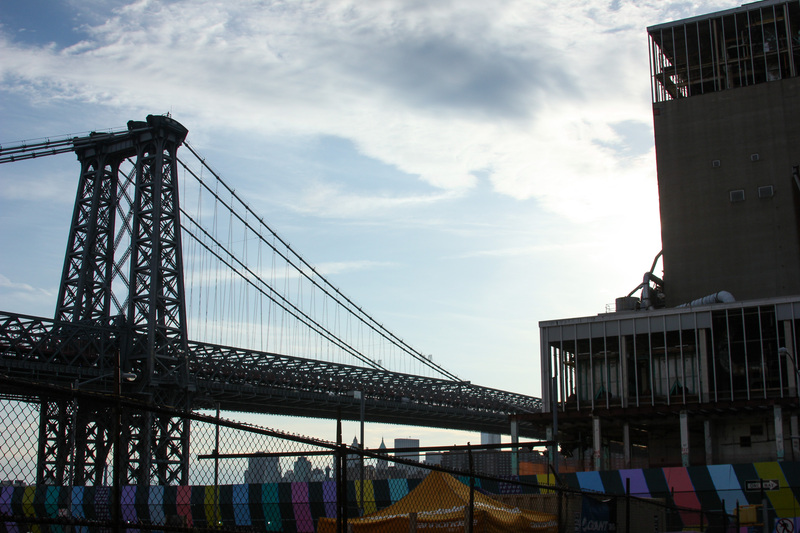 Some of the Mermaid vacancies occurred after Hurricane Sandy gutted the area in 2012, but most have been empty much longer, says Eric Levy, staff member at Astella Development Corporation, a housing and economic development nonprofit in Coney Island. The Department of Housing Preservation & Development (HPD) owns two of the lots, but the other owners have been hard to identify. Fortunately, Roberts found the owner of the plot she wants: HPD has owned it since 1983 and plans to build single- or two-family homes there in 2016, but has no financing. Owners are often willing to lend their land for temporary use while they secure money. Even with community board approval, it will take time before the garden, which Roberts has named Mindful Living Community Garden, blooms into fruition. The process for filing an official application with GreenThumb, part of the Parks Department, can take anywhere from three months to two years, says Mary Elizabeth Prall, a community organizer from 596 Acres, a community land access advocacy group that helps residents transform vacant public lots. They have been instrumental in helping Roberts navigate the approval process. Still, the wait is worth it, says Chris Frank, vice president of the Vinegar Hill Community Garden in Brooklyn. His group accessed its HPD-owned lot in June 2013. A team of 20 neighbors has been steadily working on the garden, using supplies provided by various nonprofits, and it opened to the public on May 10. Frank hopes the garden will facilitate revitalization as well as community building; he’s already established collaborations with a local school, a halfway house and residents of the nearby Farragut Houses. “Once the garden opens, I hope to get a nice mix of the communities that have been pretty much walled off,” he says. The gardens also improve quality of life, says Laura Fisher, project director of Green Guerillas, the nonprofit behind the city’s first community garden. Beyond beautification and food production, Roberts wants to educate community members about food access disparity and health issues in Coney Island, with nutritional lessons featuring ingredients from the garden. “There’s not much attention on nutrition and access to really quality produce and groceries [here],” she says. Roberts has been recruiting neighbors at community meetings, putting up fliers in the neighborhood and even stopping people in her building and on the street. Though she has a small window to get the garden going before HPD plans to start building in 2016, she is set on her goal.